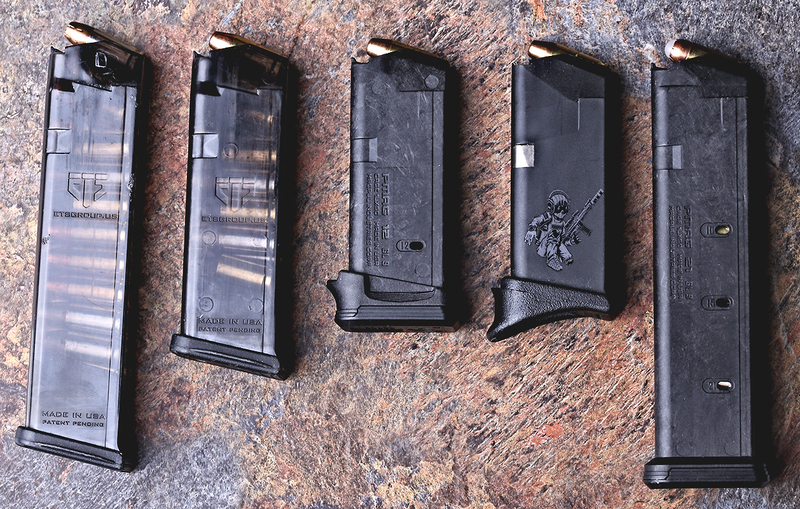 The new Magpul 12 round G26 magazine is pretty good. It fits perfectly in my hand, snugly, but perfectly. 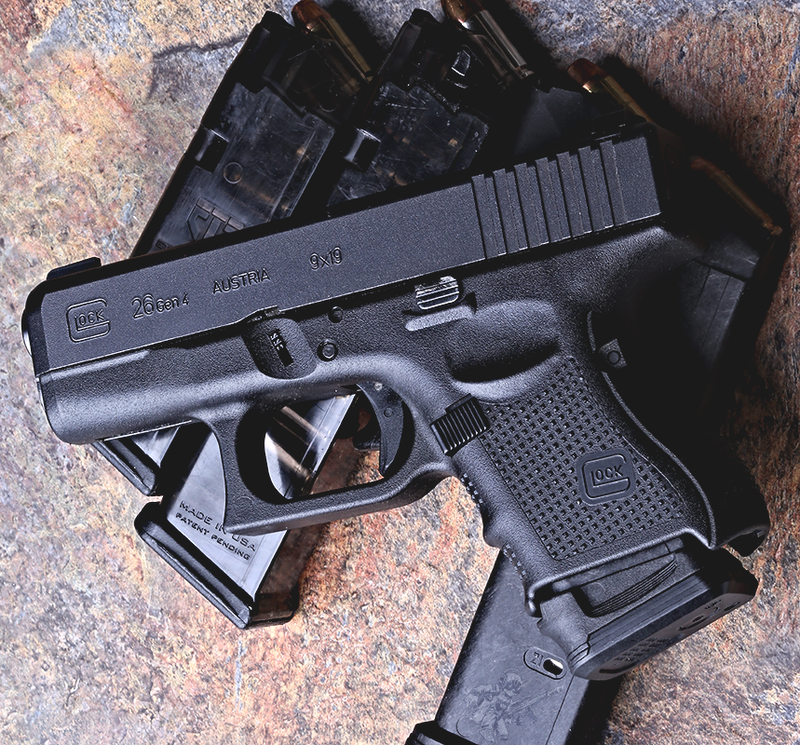 Puts the G26 into the category which allows carry of a smaller than G19 size gun but only losing three rounds. That is a pretty good trade off, especially if you need a smaller gun due to body build or carry requirements. ETS 22 rnd mag, ETS 15 rnd mag, Magpul G26 mag, OEM G26 mag with Pierce pinky addition , Magpul 21 rnd magazine.